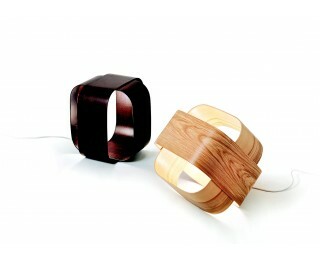 Floor square lamp made of bent ash inspired by the minimalist style of Scandinavian objects. Available in two sizes, in ash finish or coloured stain. Supplied with European certification.